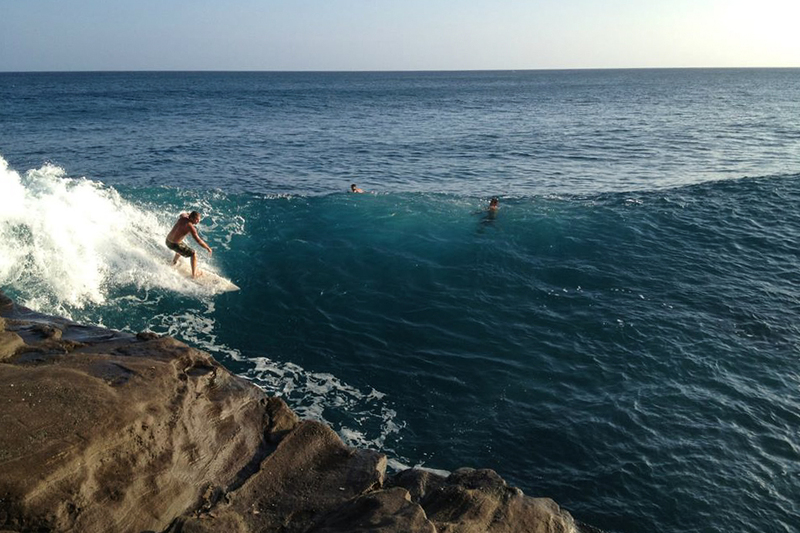 home › posts › Top 10 Things To Do In Oahu... ten trees planted for every item purchased. 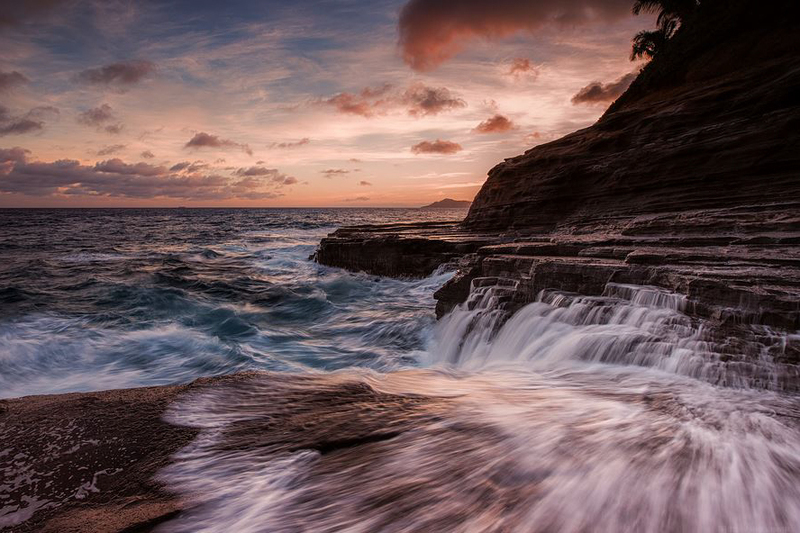 Hawaii is one of the most incredible places on the planet - it has more world renowned beaches than anywhere else in the world, it is the most isolated population centre on the face of the earth, and it home to 11 of the 13 world climate zones. There are eight main islands that people live on and the an additional 124 smaller uninhabited ones. The idea to plant 10 trees for each item purchased in our store started in Hawaii so this is a callback to our time there. 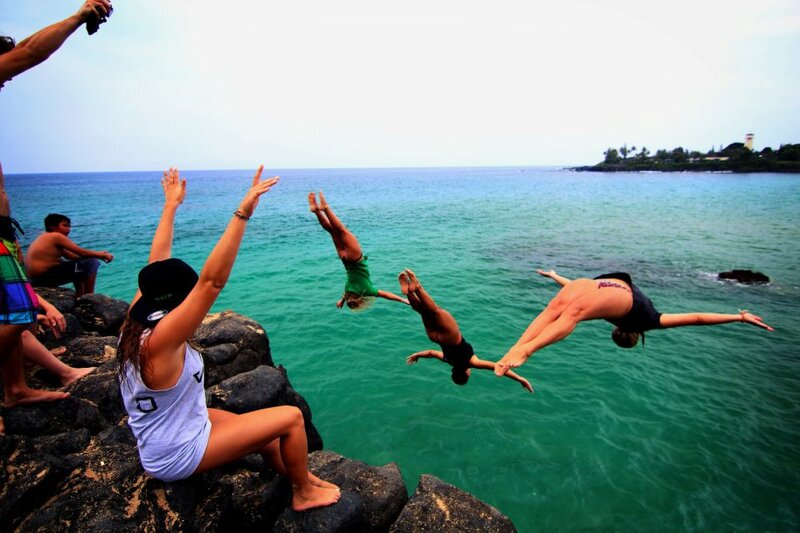 If you ever take a trip to Oahu, here are some ideas for amazing things to see! This amazing hike has been closed to the public since 1987 due to safety concerns. Since a Valentine's Day 2015 storm, the trail has become even more dangerous, however people continue to hike it. Be careful though, just a few weeks ago an 18 year old man chose to hike it on his own and never returned home. There is no better place to Skydive than Hawaii -- the view from above is incredible as you can see a number of the islands. We recommend doing the 15,000 foot jump in order to get a full 90 seconds of freefall. If you're going to jump, you might as well go all the way right?! From our experiences, safety is the priority. Maunawili gets up to 100 people a day visiting it depending on the weather. The best time to go is on a hot day when you can jump in the cold water and cool off. Hiking through the jungle is an awesome experience...you go through rivers, around giant trees, up mountainsides, and down wet mud slides before the waterfall seems to appear out of nowhere. 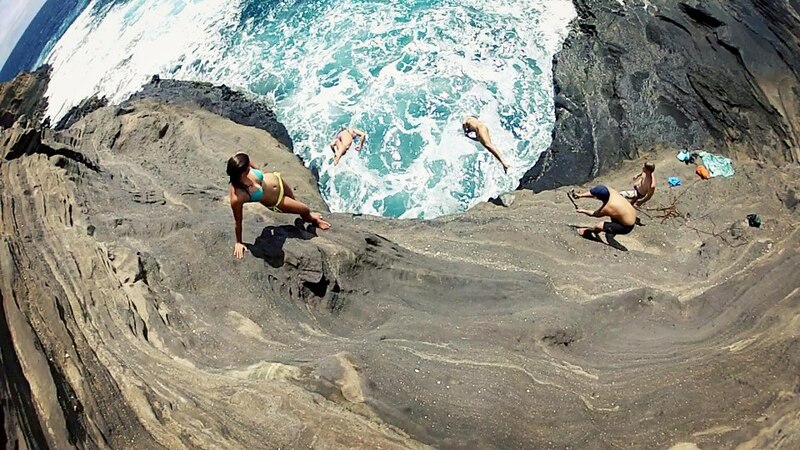 There are two great cliff jumping spots but this isn't for the faint of heart -- they are 40+ feet. We would definitely recommend this! Hike Length: 3 hours return Location: Kailua Notes: Be respectful of the locals in the area and lock your car when you go. There have been a number of reported break-ins at the trail head parking area. 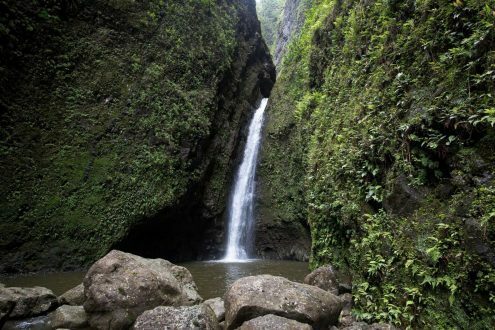 This is a really easy hike that doesn't take more than 45 minutes but it is well worth the view. If you're up for tackling nature's versaclimber, then Kokohead is for you. It is challenging even for those in good shape but worth the incredible view at the top. 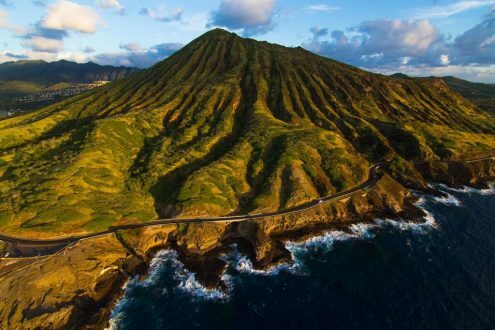 There are 1048 steps which lead to a beautiful view of Hanauma Bay. 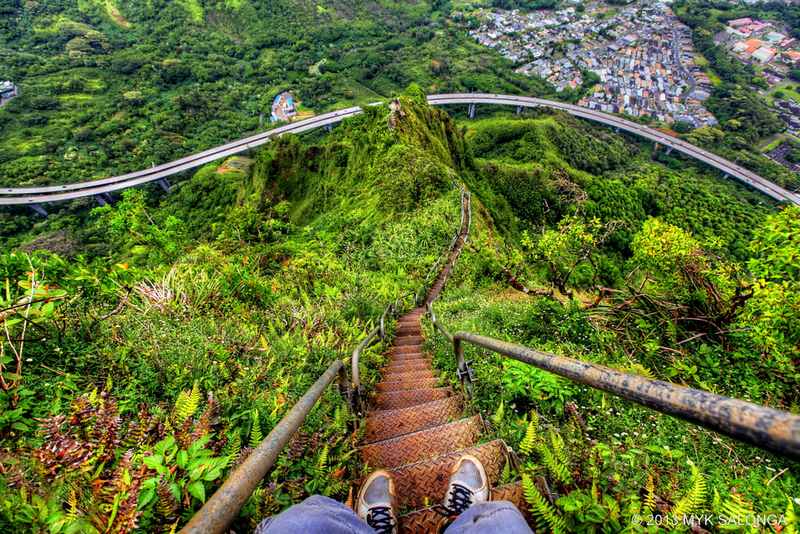 Be sure to pace yourself on this hike, it's a lot longer than it looks! If you can do it in under 20 minutes, that's pretty incredible. This is only for experienced jumpers...it's about 60 feet high, but the jump height is not what you have to be concerned with...it's the underwater current. The riptides and undertows will either pull you under or potentially spit you out into the ocean. If you do jump, make sure there are people down below to watch out for you! When the tides are low this a really cool area that is great for anyone. It's about a 20 foot jump and easy to climb back up the coral wall for more fun (or there's a ladder). When tides are high, don't get caught on the wall with a swell incoming because it will take you out. Use the waves to help you get back up. Scuba diving in Oahu is an awesome opportunity to check out families of fish, giant turtles, sharks, and more. 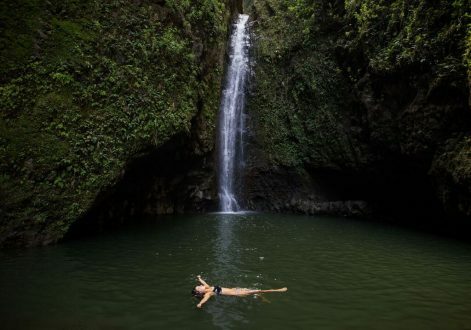 This is an awesome place because you can climb up one waterfall and there are more waterfalls and pools of water to jump into as you venture further into the jungle. There are a number of cliff jump spots here as well and it's very deep so you don't have to worry about hitting the bottom! If you like these and want to see more, check out part 2 here. 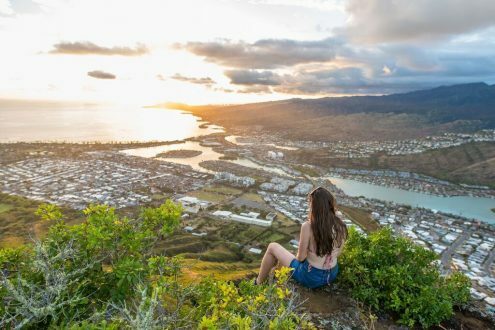 The post Top 10 Things To Do In Oahu, Hawaii (Part 1) appeared first on tentree.